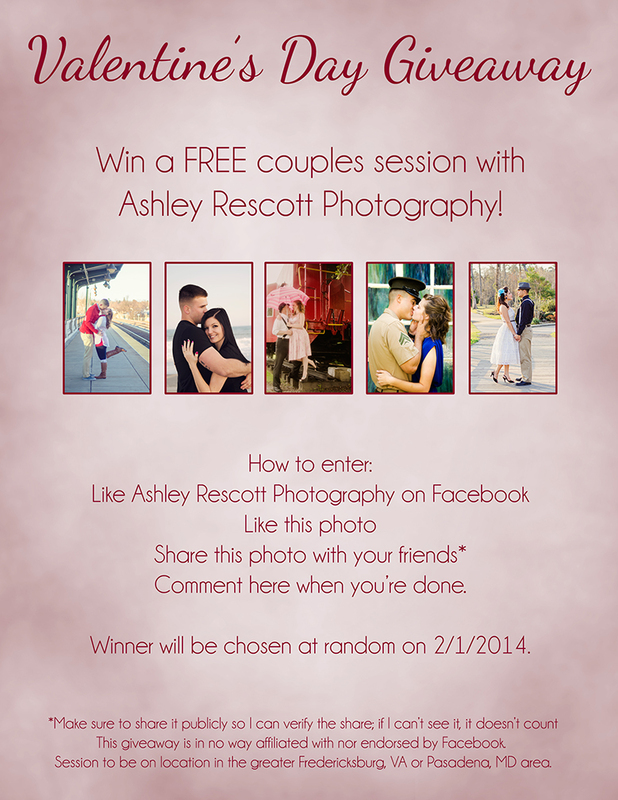 Want to win a free couples session? The giveaway is pretty simple this time around: like my page, the photo, share the photo, then comment on the photo when you’re done. And that’s IT! Just make sure to set the privacy to public when you share so I can verify it (if I can’t see it, it doesn’t count). This giveaway is in no way endorsed, supported or affiliated with Facebook. There will be other ways to earn additional entries. The winner must be 18 years old. Session to be used before 4/1/2015. Redeemable in the greater Fredericksburg, VA and Pasadena, MD areas.